Independence Run and Hike Race Team member Laurie Guevera-Stone paced her friend Andie at the Leadville Trail 100 race this year. 100 miles is no joke and just pacing someone for the effort can be a serious task in its own right. Check out Laurie’s experience below. This year I signed up for my first 50-mile race. Over the past 30 years I graduated from 10ks to ½ marathons to marathons to 50ks to the 40-mile Grand Traverse run, and I thought it was finally time to try 50 miles. It so happens that my friend, Andie, who I often run with, got into the Leadville 100 and asked me to be one of her pacers. Now, people might think a 50k or a 50-mile race is crazy, but 100 miles, that really is crazy. But I was very excited to be part of it. As the summer wore on my training wasn’t going so well. I had Achilles issues, knee issues, and general overall fatigue. I ended up getting PWs (personal worsts) in three races I did over the summer. And I was definitely not feeling like my normal running self. It was a big change from last year when I was getting PRs in every race I ran. As I started thinking maybe this wasn’t the year to try for 50 miles, I started to get really worried about Leadville. Running is a pretty selfish sport. Getting a slower time than you want in a race only affects you. But being a pacer is a whole different story. When Andie showed me the section I would be running with her, over Hope Pass, which actually looks like it goes straight up and straight down on the elevation profile, I went from worried to really worried. What if I felt bad while running my 22 miles with Andie? What if I couldn’t keep up and actually slowed her down? This was her big dream, and I had a chance to ruin it for her. Everybody reassured me we would be going very slow, but with how I was feeling over the summer, it didn’t ease my fears. The week before the Leadville 100 I got acupuncture, a massage, went to physical therapy, and attended as many yoga classes as I could fit in. I wasn’t even thinking about my 50 miles, but about helping Andie get over the finish line. When race day came I was so nervous I couldn’t even imagine how nervous Andie must have been. But the energy and excitement at that race was nothing I have ever experienced, even though I have run hundreds of races around the country (and the world). Seeing people push themselves to their absolute limits, and then push even further, was so inspiring. Andie and I made it over Hope pass faster than we expected, passing people both on the uphill and downhill. After I’d been running 15 miles with her, and she was up to mile 65, and it was dark and cold, she started losing steam. That’s where my job really started, keeping her moving when all she probably felt like doing was laying down and going to sleep. But Andie is incredibly strong, both physically and mentally, and she ran through her pain. Andie’s whole crew ran (well, mostly walked) the last mile with her. When we crossed that finish line in under 30 hours, I was not only so proud of her, but of the whole team. Yes, it was definitely Andie’s accomplishment, but it was also a team effort, and I was so happy, proud, and excited to be part of it. Watching other people who had pushed themselves beyond what the human body should be able to do, cross the finish line, almost brought me to tears. I’m still nervous about my upcoming 50-mile race, but after seeing what Andie did, not to mention watching the Iron Nun, I feel like I have to go for it. But I don’t feel pressured to do well. I feel like I already accomplished my best race of the year, and I didn’t even race it. 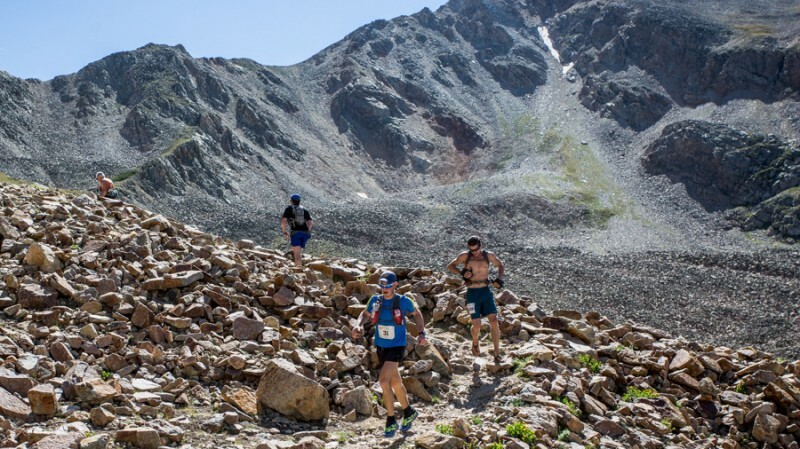 If you ever have a chance to pace someone in a race like the Leadville 100, I would highly recommend it. You get to be part of an incredibly thrilling event, and get to cross the finish line, without even having to run 100 miles!